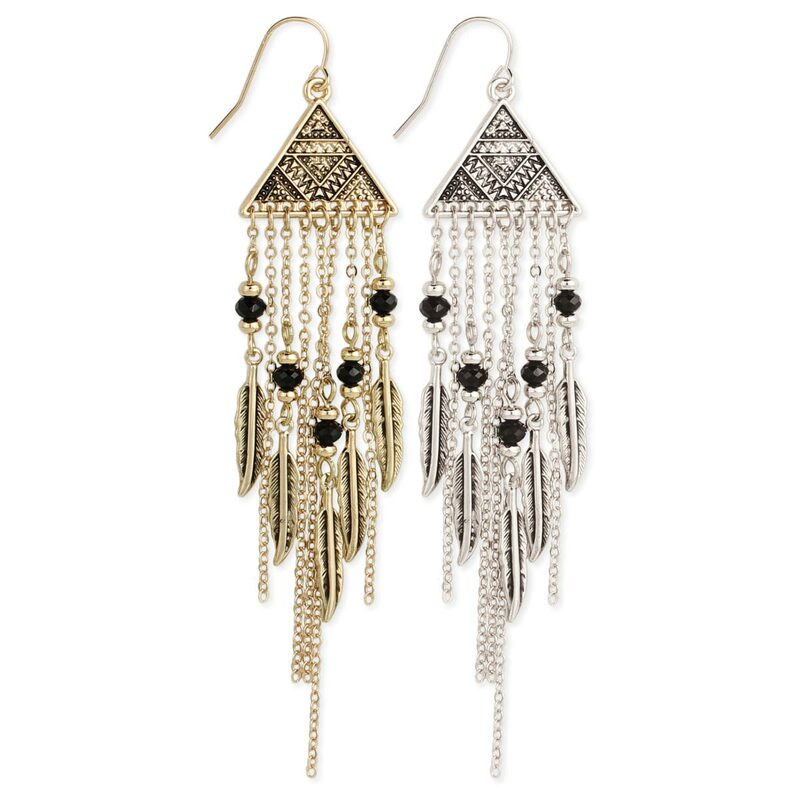 Embossed triangle earring with graduating chain fringe with black facet beads and feather dangles. Measurements (approx.) 4 1/2" x 7/8"